Establish credibility in the marketplace. Part of my daily job is acting as a trusted advisor for my clients. Sometimes it can be difficult to provide sound confident advice. Actually understanding the fundamentals will allow for more in-depth and complex conversations. Personal Satisfaction. The older I get the more I realize that I am a lifelong learner. It is something that I am very passionate about. While my focus tends to be on technology it can ranger over wide breadth of topics. As an added bonus it provides a concrete goal for me to obtain, which in itself will provide large intrinsic value. Benefit others. This one may be a stretch, but I hope to share my thoughts and findings to both my peers and customers. Hopefully helping people accomplish their tasks and other projects. 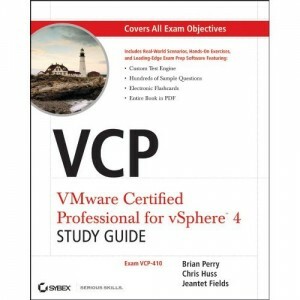 I have noticed there are a large variety of communities around the VCP and virtualization and I plan on contributing when possible. Here is to the next chapter!